Looking for the best red diesel suppliers that Northern Ireland has to offer? Call Crown Oil, who will provide you with the best deals and prices on fuels and lubricants, anywhere in Northern Ireland. We have customers in Northern Ireland working in every business sector e.g. construction sites, local authorities, agricultural, engineering and manufacturing units etc. Call our sales team today to arrange your red diesel delivery. We will always do our best to deliver your fuel at an agreed date and time, suitable for you. 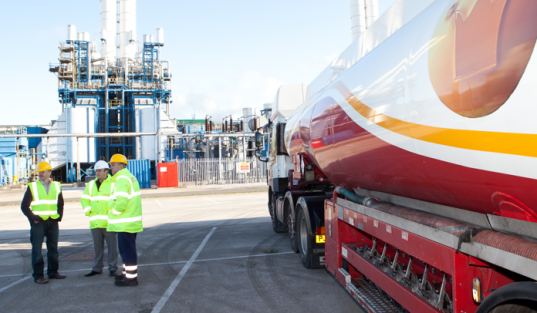 For our customers based in Northern Ireland ordering gas oil on a regular basis, we offer a free fuel management service to ensure you never run out of red diesel. We can also arrange 24/7 out of hours emergency fuel deliveries. No matter your requirements, we can supply in quantities of 205-litre barrels or with tanker deliveries, anywhere from 500 litres through to 36,000 litres of more. Businesses and consumers come back to Crown Oil time and time again, as we have the capacity to fuel your home and your business wherever you are. If you’re ready to talk to our fuel experts about your requirements. Call us today on 0845 313 0845 for the latest red diesel prices and deals, and get any get any of your questions answered. Northern Ireland is a beautiful land covered by lakes, rivers, and peaks that will lure you in no matter what your business, career or vocation. The largest freshwater lake on the island of Ireland and in the British Isles, Lough Neagh, is a stunning sight. The Lower and Upper River Bann, River Foyle, and River Blackwater form extensive lowlands, with excellent land which is arable, and is also found in North and East Down. Keeping warm during the winter is made possible by the use of red diesel and heating oil. Red diesel has a variety of applications, but none of them are for equipment used on the public roads. There is a difference between diesel fuel used in over-the-road vehicles, called white diesel, and red diesel, which is specifically designed for off-road use. A red dye is added to diesel to make red diesel, this helps HMRC differentiate between fuel which has additional tax applied and fuel not to be used on the roads. Using red diesel fuel in vehicles operating on any road is considered a criminal act and there are safeguards against such use. Home heating is fuelled by kerosene and red diesel, but red diesel can also be used in construction equipment such as bulldozers, backhoes, and bobcats. Carnivals and county fairs may legally use it in their diesel engines, but not in the equipment they use to transport the rides and displays. Farm use has traditionally been limited to equipment used in the fields, such as tractors or harvesters, but when farmers help prepare roads by plowing and gritting in the winter, then there should be some relaxation of the restrictions. There are many diesel suppliers in Northern Ireland, although none can guarantee such great service, reliablilty and quality of fuel. Your gas oil will be delivered to your home or place of business conveniently by truck, pumped into your storage tank, ready for your use.